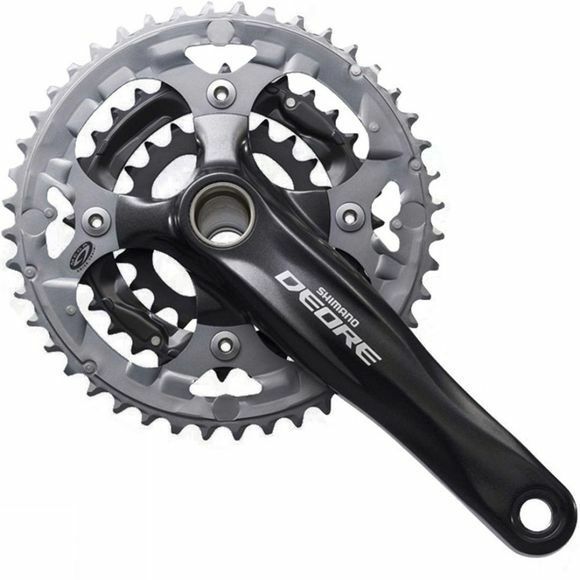 Shimano’s Deore 2-piece design chainset for 9-speed transmissions offers excellent value for money. With an external bottom bracket system that is more lightweight and ridged in design it offers incredible strength and durability. An SG-X chainring with patented spike pins gives a smooth and fast gear shift, even when under load.